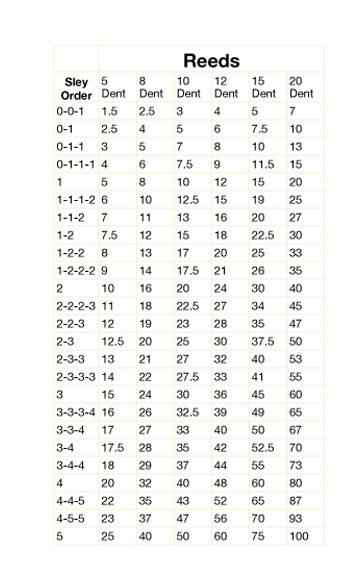 The measurements below are Weaving Widths - Remember to add approximately .75" to 1" to determine the total width of the reed. **Schacht Table looms only have a maximum of 1/2" tolerance. The total width of the reed can only be 3/8" wider than the weaving width. Please order these reeds on the custom reed page.